It seems that the masses and most of the financial media hate hedge funds and what they do, but why is this hatred of hedge funds so prominent? At the end of the day, these asset management firms do not gamble the hard-earned money of the people who are on the edge of poverty. Truth be told, most hedge fund managers and other smaller players within this industry are very smart and skilled lads. Of course, they may also make wrong bets in some instances, but no one knows what the future holds and how market participants will react to the bountiful news that keep flooding each day. The S&P 500 Index gained 5.2% in the 12 month-period that ended October 30, while less than 49% of its stocks beat the benchmark. In contrast, the 30 most popular S&P 500 stocks among the hedge fund investors tracked by the Insider Monkey team returned 9.5% over the same period, which provides evidence that these money managers do have great stock picking abilities. Even more to that, 63% of these stocks managed to beat the S&P 500 Index. That’s why, we believe, it isn’t a waste of time to check out hedge fund sentiment before you invest in a stock like Crown Holdings, Inc. (NYSE:CCK). Crown Holdings, Inc. (NYSE:CCK) investors should pay attention to an increase in activity from the world’s largest hedge funds of late. CCK was in 30 hedge funds’ portfolio at the end of the third quarter of 2015. There were 26 hedge funds in our database with CCK holdings at the end of the previous quarter. At the moment there are several formulas investors put to use to grade publicly traded companies. Some of the most under-the-radar formulas are hedge fund and insider trading interest. Experts at Insider Monkey, a website specializing in hedge funds, have shown that, historically, those who follow the top picks of the elite money managers can outpace the broader indices by a significant amount (see the details here). Keeping this in mind, we’re going to view the key action regarding Crown Holdings, Inc. (NYSE:CCK). At the end of the third quarter, a total of 30 of the hedge funds tracked by Insider Monkey held long positions in this stock, a change of 15% from the second quarter. With the smart money’s capital changing hands, there exists an “upper tier” of notable hedge fund managers who were boosting their holdings significantly. According to hedge fund intelligence website Insider Monkey, Lou Simpson’s SQ Advisors had the number one position in Crown Holdings, Inc. (NYSE:CCK), worth close to $155.9 million, amounting to 5.2% of its total 13F portfolio. Coming in second is Adage Capital Management, led by Phill Gross and Robert Atchinson, holding a $137.5 million position; the fund has 0.4% of its 13F portfolio invested in the stock. Other hedge funds that hold long positions contain John Osterweis’s Osterweis Capital Management, Cliff Asness’s AQR Capital Management and Anand Parekh’s Alyeska Investment Group. 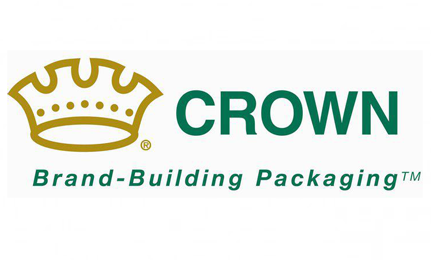 Consequently, some big names have jumped into Crown Holdings, Inc. (NYSE:CCK) headfirst. Renaissance Technologies, managed by Jim Simons, established the biggest position in Crown Holdings, Inc. (NYSE:CCK). Renaissance Technologies had 3.2 million invested in the company at the end of the quarter. Lawrence Sapanski’s Scoria Capital also initiated a $2.4 million position during the quarter. The other funds with brand new CCK positions are Israel Englander’s Millennium Management, Neil Chriss’s Hutchin Hill Capital, and Ken Gray and Steve Walsh’s Bryn Mawr Capital. Let’s also review hedge fund activity in other stocks similar to Crown Holdings, Inc. (NYSE:CCK). These stocks are Scripps Networks Interactive, Inc. (NYSE:SNI), Manpowergroup Inc (NYSE:MAN), Ingredion Inc (NYSE:INGR), and NVR, Inc. (NYSE:NVR). All of these stocks’ market caps are closest to CCK’s market cap. With the results shown by our research, retail investors must always pay attention to hedge fund sentiment, and Crown Holdings, Inc. (NYSE:CCK) is no exception.